A Jew is given the instruction to go into the Temple of G-d, stand before the Holy Ark and accuse his fellow Jews of any and all sins that they are guilty of. Could you do that? Would you? Says the Chofetz Chaim: "Without a doubt any Jew would rather give his own life than partake of such an act" The Chofetz Chaim continues by giving a teaching from Tanna D'Vei Eliyahu (I,18:64) "When the wicked speak Lashon Hara, it ascends before the Holy Throne of Glory"
We don't usually consider what is happening with the words we speak. Just because we don’t see the Throne of Glory in front of us, does not mean it is not there. Hence we have to internalize what transpires with our words and remember the first teaching of the Choftez Chaim – that no Jew would stand inside the Holy Temple before the Ark and run down his / her fellow Jew. This is how careful we need to be, especially since we don’t see the Temple or the Throne of Hashem. In the merit of our guarding our tongues, may we merit the Final Temple, a constant and physical reminder of the presence of Hashem in this world. There is a mitzvah in the Torah not to wear Shaatnez, meaning wool and linen mixed in the same garment. The following story illustrates Bitachon in action. One might ask why did he burn the robe, the answer is to make sure that no other Jew would stumble and wear Shaatnez too. Notice the story states Rabbi Yehudah immediately burned the robe. He did not debate, wonder if he could get a good price, consider if he sold it to a non-Jew would it be permissible, worry about how expensive the garment was. His belief in Hashem and His Mitzvos was so strong that he immediately burned the problem robe. This verse highlights two important concepts. The first is that through our reciting praises to Hashem, He will answer our Tefillos. There is a teaching that even if we don’t directly ask for what we need but just recite praises to Hashem even so Hashem will answer our prayer and bring the salvation needed. 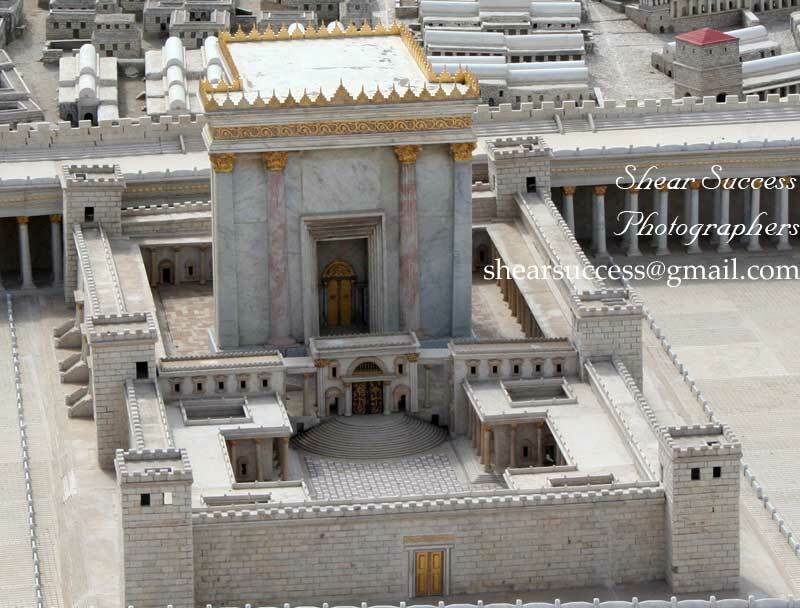 The second important concept relates to the "mountain of His sanctuary" – this refers to the fact that the Beis HaMikdash will be built on Mount Moriah i.e the place we currently call Temple Mount. If you remember at the beginning of Tehillim 3, the scene is set of King David fleeing from one of his sons, Absalom. We are taught in Tanach that when fleeing, King David headed towards the Mount of Olives where he prostrated himself to Hashem. The reason for this action was that King David was acknowledging Temple Mount as having significance as the "mountain of Hashem's sanctuary" the place for our Holy Temple. Wishing you all a very good and restful Shabbat. May we share only good news for Am Yisrael.